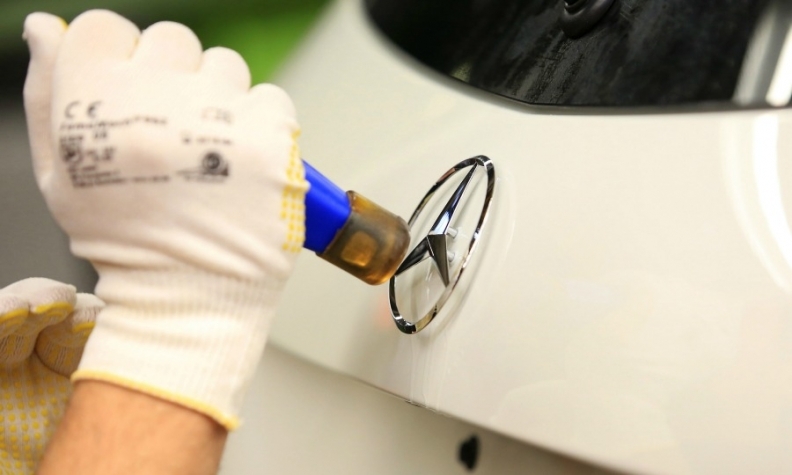 BERLIN -- Germany's Transport Ministry questioned Daimler CEO Dieter Zetsche over how many Mercedes-Benz vans and cars need to be fixed to meet emissions rules. The automaker was summoned to a meeting on Monday to discuss a regulatory probe of software devices found by Germany's KBA motor vehicle authority. Daimler was last week ordered to recall Vito vans fitted with 1.6-liter diesel engines because they breached emissions regulations. Daimler has been given until June 15 to come up with a solution to resolve the emissions issues on the Vito, he said. "We will have an in-depth exchange about highly complex technical questions with the aim of examining how many models are impacted," German Transport Minister Andreas Scheuer said. "At a further meeting in 14 days, concrete results will be on the table," Scheuer said. Asked how the meeting went, Zetsche said: "It was a good discussion. We will see each other again in 14 days." Germany's transport ministry said the Vito had been equipped with a software device which manipulated the SCR emissions filtering function, leading to higher nitrogen oxide emissions. Bild am Sonntag said regulators are probing around 40,000 Vito vans and 80,000 C-class cars for possible illicit software that allowed the vehicles to emit excess pollution without detection. Daimler has said it will appeal against the KBA's decision to classify the software as illegal, and will contest the findings in court if necessary, although it said it was cooperating fully. Some Mercedes models, including the Vito, use diesel engines supplied by Renault, although the French automaker has said it was Daimler’s responsibility to set the engine software, Germany's Handelsblatt reported. French prosecutors opened a probe into Renault in January 2017 after the country's consumer watchdog DGCCRF found engine software deactivated anti-pollution functions. Daimler has previously said Mercedes vehicles being scrutinized by KBA were fitted with a Renault supplied OM622 engine, which had been used in around 1,000 Mercedes-Benz Vito tourer models in Germany. On Monday, prosecutors in the German city of Stuttgart, home to Daimler's headquarters, said they were cooperating with foreign authorities as they probe Daimler and supplier Robert Bosch for potential fraud and false advertising tied to illegal emissions. On being asked whether Stuttgart prosecutors were working with prosecutors in France as part of the Daimler probe, a spokesman said: "We are in an exchange with foreign authorities." An investigation of Bosch continues, the Stuttgart prosecutor said. Investigators are probing whether the supplier's employees may have aided and abetted emissions fraud at Daimler, Audi and Fiat Chrysler, the spokesman said.